The Epson ReadyPrint T20 has reached end of life. It has been replaced by the Epson TM-T20II. 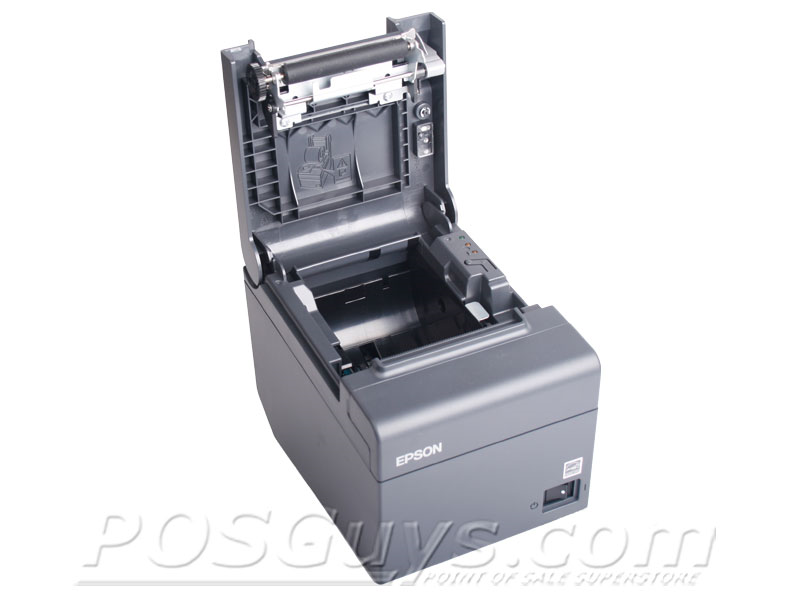 This product replaces the older Epson TM-T90. The Epson ReadyPrint T20 receipt printer offers Epson's award winning capabilities and reliability in an economical package. Ideal for small to medium-sized retailers, the ReadyPrint T20 is efficient enough to keep most lines moving smoothly. At nearly 6" per second, the ReadyPrint T20 may not lead the industry in print speed, but it's still fast for retail. The ReadyPrint T20 comes with USB interface standard, supporting current and legacy systems alike. Not everyone has internet access at their business, and so Epson ships every ReadyPrint T20 with an included driver installation disc. 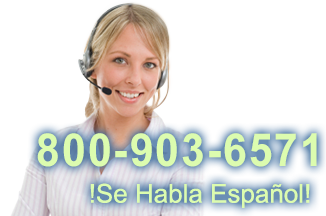 Driver support for Windows 2000, XP, Vista, and 7 makes the ReadyPrint T20 a versatile drop-in solution. With the addition of Mac OS X & Linux support, the ReadyPrint can be installed at almost any business. Built to Epson's high standards, the ReadyPrint T20 can run, on average, for 360,000 hours before failure, and can cut up to 1.5 million receipts. Further lowering your total cost of ownership, the printer uses energy-efficient components, cutting down on electrical expenses. 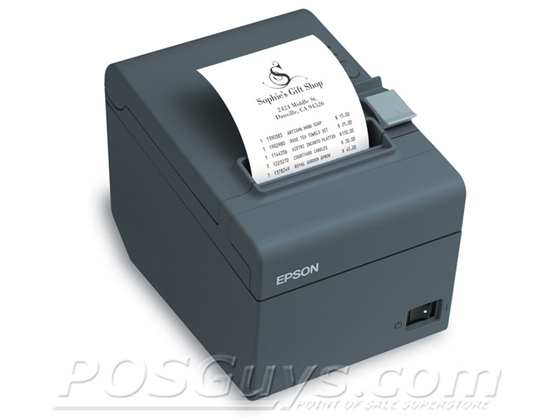 And with a two-year warranty, the Epson ReadyPrint T20 receipt printer is a solid fixture for any retailer. How do I adjust the darkness on my Epson ReadyPrint T20? Press and hold the Feed button. While holding this button, turn the printer back on. When the printer prints a self-test, release the Feed button. Press and hold the Feed button for at least one second to enter the Mode Selection menu. When the Mode Selection menu prints, release the Feed button. Press the Feed button briefly three times to select 3. Customize Value Settings, then press and hold the Feed button for at least one second, until the next menu prints. Press the Feed button briefly two times to select 2. Print Density, then press and hold the Feed button for at least one second, until the next menu prints. Press the feed button briefly once to select 1. Monochrome, then press and hold the Feed button for at least one second, until the next menu prints. If 1. Monochrome is not presented as an option, but instead you see options for certain percentages, please proceed to the next step. Locate your desired setting in the list of Print Density modes. Higher percentages indicate darker printing, while lower percentages indicate lighter printing. The number displayed to the left of the percentage (i.e. 4 for 115%) is the number of times you must press the feed button briefly in order to make your selection. Once you have done so, press and hold the Feed button for at least one second. Your printer will indicate that the new value has been saved. You may now turn your printer off, then turn it back on again to return to normal printing mode. 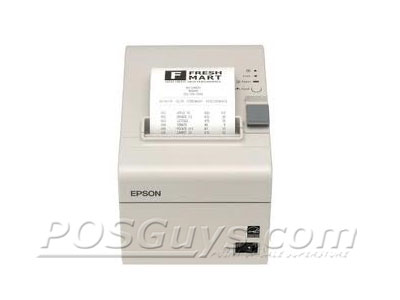 For the first time Epson has released a budget thermal printer. This printer is a little slower and has a shorter lifespan than the TM-T88V but still is a solid product by the leader in receipt printer technology. Find it faster! 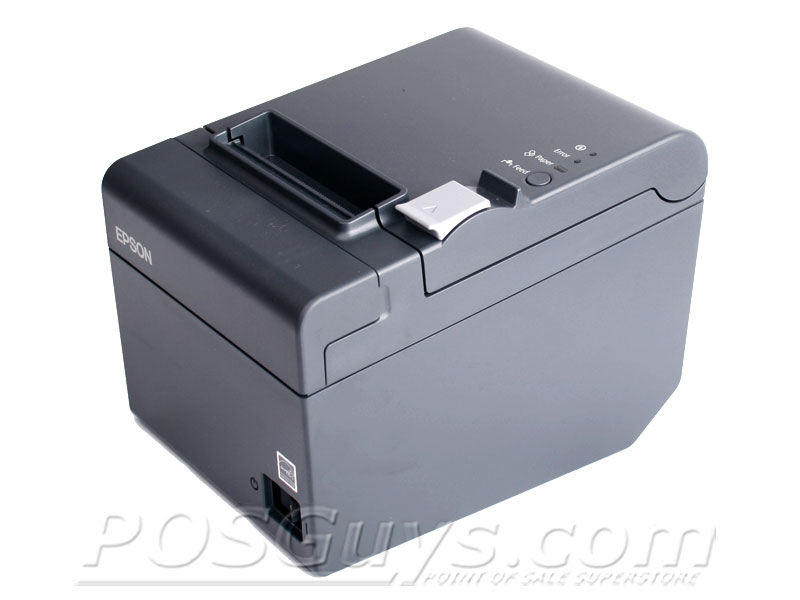 Click here to compare ReadyPrint T20 models by feature.